A gateway to a sprawling and diverse national park, a center of Shinto spiritualism and place of Buddhist worship, an emblem of the riches and dominance of the Tokugawa shogunate: Nikko means many things to many people. Shrines, mausoleums, and temples here represent some of the most intricately decorated and well-maintained Edo-period structures in the country, with the area having been of great spiritual importance long before then. 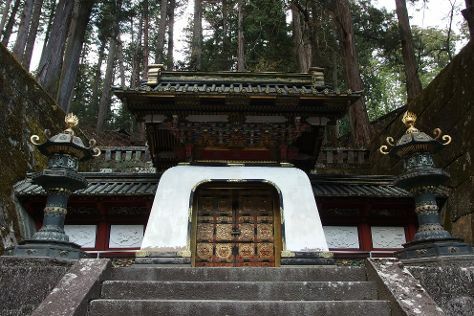 Perhaps it's the scenery that made the place such a center of religious belief and worship, with the mountainous landscape covered in tall cedars, hot springs, waterfalls, and lakes. Taking a walk or riding between the natural features and UNESCO-listed heritage sites remains a high priority on most Nikko itineraries. Nikko is in Tochigi Prefecture. When using our Japan trip itinerary app , you're building your holiday based on your own interests, visitor reviews, and the informed opinions of our well-traveled writers.